Each August, Drake Park in downtown Bend hosts the Bend Classic Car Show. During this three-day event in Bend, OR, classic cars of all makes and models made before 1979 will be displayed in a car show and win prizes. A family fun Bend, OR event, the Bend Classic Car Show is entertaining for car enthusiasts of all ages. To kick off the long weekend, the Bend Classic Car Show organizes a downtown “Pre-Cruz” on Friday. During the Pre-Cruz, a long parade of beautiful classic cars winds its way through downtown Bend. The Pre-Cruz ends at Drake Park, which is located right on the bank of the Deschutes River. On Saturday, the Bend Classic Car Show hosts Show ‘N’ Shine on the lawn in Drake Park. This is where rows upon rows of beautifully detailed classic cars made before 1979 are displayed. During the day, raffles, scavenger hunts, and contests keep visitors and car owners entertained. At night, live bands keep the fun going late into the night. The main “Cruz” takes place on Sunday. Instead of looping through downtown Bend, however, this Cruz takes the classic cars on a route up to beautiful Mount Bachelor. There, the Bend Classic Car Show hosts Car Olympics and offers event entrants discounted lift tickets to Mount Bachelor. A no-host lunch is also served to entrants at the Pine Marten Lodge. Car lovers of all ages will love staying in our conveniently located Bend vacation rental homes. Each of our homes are hand-selected for quality, furnished with contemporary furniture that reflects Bend’s unique style, and are conveniently located next to all the exciting events in Bend, OR. 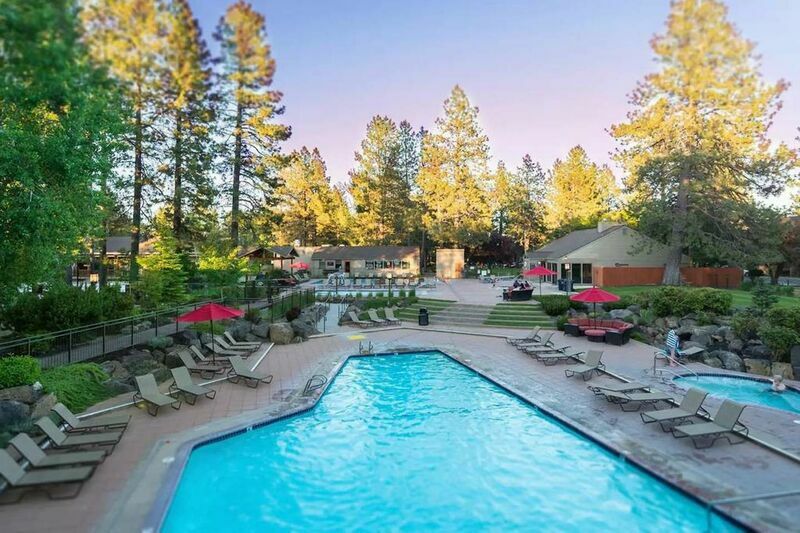 Whether you’re looking to book a weekend hideaway in the hills, a multi-story home to share with your car show buddies, a cabin close to Mount Bachelor, or a bungalow in the heart of downtown Bend, we have several quality homes for you to choose from. Additionally, several of these homes come with garages or large driveways, which are perfect for storing your prized cars in before and after the car show. To browse our available vacation rental homes with garages and driveways, select the dates of the car show and select the map area of your choosing. We look forward to hosting you and your classic vehicles at one of our Bend Vacation Rentals homes! Contact us today to learn more about fun Bend, OR events or with any questions you may have.